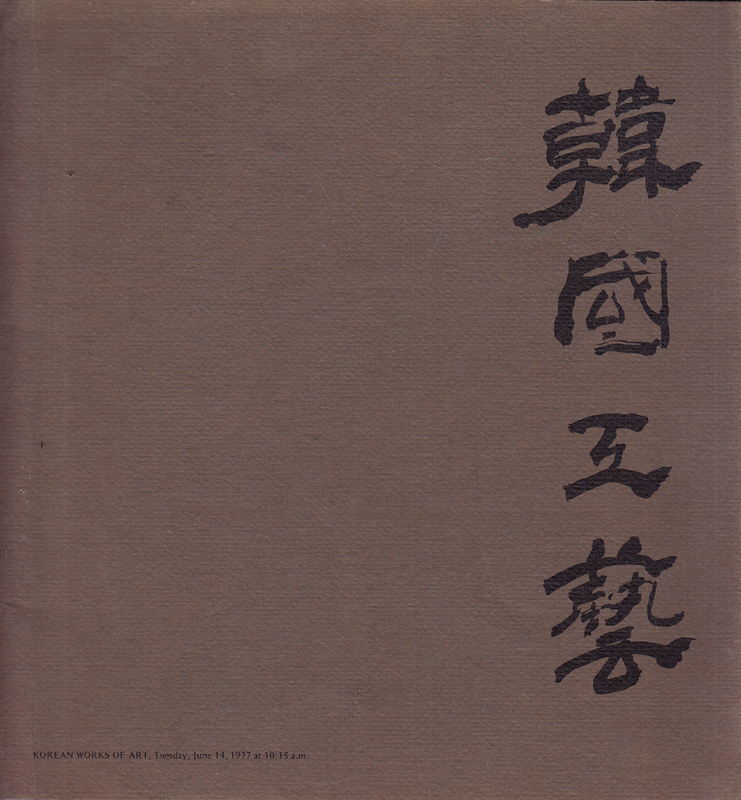 This post auction catalog consists of 70 lots mostly illustrated in black and white and all described in detail. 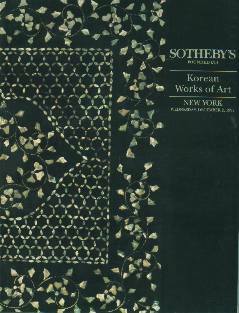 1992 Sotheby's Korean Works of Art ( Scrolls, Panels, Laquer and Mother of Pearl Table ) New York 12/2/92. 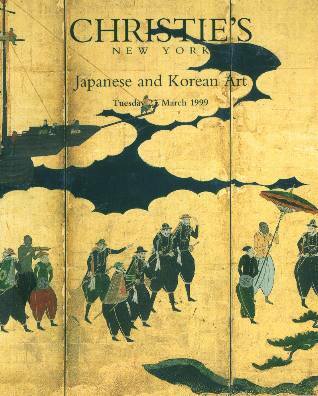 1999 Christie's Japanese and Korean Works of Art ( Netsuke,Asian Pottery, Korean Paintings, Japanese Porcelin, Ivory), New York 3/23/99.